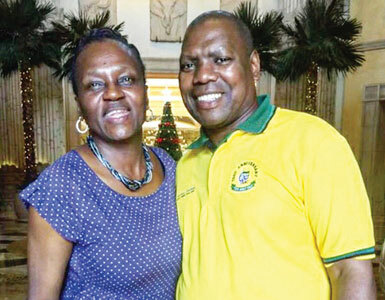 In mid-2008 Sokhela landed a lucrative R10.9m lease agreement with the KwaZulu-Natal Department of Finance – of which Mashego’s husband Zweli Mkhize was then the MEC. The deal was recorded in the Government Gazette. 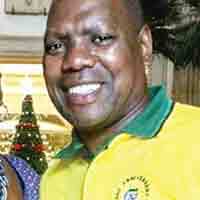 Mkhize became KZN ANC chairperson in mid-2008 and was installed as the KwaZulu-Natal premier in 2009. Sokhela’s 2008 lease has been rolled over and is still in place today, Mkhize should have declared his wife’s “loans” to the KwaZulu-Natal Legislature in 2008, due to the clear conflict of interest. But his declarations – for that year only – have disappeared from two separate locations – an unheard of coincidence, say officials. Shortly after Noseweek ran the story in late February (nose221), a source said it was being shared on ANC leadership WhatsApp groups, resulting in speculation that Mkhize’s possible appointment as finance minister was in jeopardy. Days later Nhlanhla Nene was appointed Minister of Finance, while Mkhize was made Minister of (the less glitzy and more gritty) Department of Cooperative Governance and Traditional Affairs. Just how much of a role the Noseweek article played, if at all, is debatable but what is certain is that Mkhize has been embroiled in more than one kickback scandal, the most recent being allegations made in June that he was involved in a R4.5m kickback involving the Public Investment Corporation (PIC), as reported by the Sunday Times. In January the EFF laid criminal charges against Mkhize, accusing him of soliciting a bribe of R80m from former Passenger Rail Agency of South Africa (Prasa) CEO Lucky Montana. The “loans” Dr Mashego received were paid to Essential Equity CC, an entity solely controlled by her, on 12 March 2007 and 15 January 2008 respectively, which came from Sirela Trading CC, controlled by Sokhela. On 14 June 2007 Sirela Trading purchased the multi-storey block known as the Nomalanga Building, 212 Langalibalele Street, Pietermaritzburg for R10m. A year later the R10.9 lease deal was signed. The terms of both “loans” from Essential Equity were identical – and very favourable to Mashego, who was not required to pay them back at all if the company failed to turn a profit. Both loan agreements were drawn up by the law firm Ngcobo Poyo & Diedricks Inc. Mkhize’s lawyer at the time was Thoba Poyo-Dlwati, one of the firm’s partners. She has since been appointed a judge of the High Court in KZN. At the time Noseweek asked Mkhize and Mashego about the highly questionable loans and whether they had informed the KZN Legislature about the conflict of interest, but they refused to comment. Mashego did however see the questions sent via WhatsApp. We asked if Mkhize had declared the loans to the KZN Legislature, whether May had paid back the loans and if Mkhize saw the conflict of interest. We also asked the KZN Legislature secretary’s office for Mkhize’s declarations from 2007 to 2009. Office assistant Nishen Sukraj told Noseweek: “Dr Mkhize was a Cabinet Member at that time and would have disclosed to cabinet. It is suggested that Cabinet be approached for access to his disclosures”. Sukraj ignored further questions as to how it was possible that the legislature did not keep records of MECs, who were also members of the legislature, for oversight purposes. Noseweek later found out they did keep records and Sukraj was deliberately fobbing us off. Noseweek then approached the director-general in the KZN Premier’s Office, Dr Nonhlanhla Mkhize (no relation to Zweli Mkhize). She made available Mkhize’s public declarations but informed Noseweek that the record for 2008 had “gone missing”. She said both the cabinet copy and the copy kept at the KZN Legislature could not be located and “only the 2007 and 2009 ones were available”. She suggested Noseweek “could ask Dr Mkhize for a record,” as they had given him the “benefit of the doubt” that he would not alter his missing declaration if he needed to reconstitute it. Noseweek informed Dr Nonhlanhla Mkhize that the reason we were requesting a copy from her office was because Dr Zweli Mkhize had refused to assist. The Sokhela “loan” declarations would have likely fallen within the 2008 declaration period. Noseweek asked the director general’s deputy, Sifiso Zondo, an economist by training, whether Zweli Mkhize had been informed that Noseweek was looking for his declarations. He said it would not be done formally but it was not entirely unlikely that, through “informal interactions” between the various leaders, he could have been told. He also said he had never heard of declarations going missing before. Noseweek was not allowed a copy of the declarations and could only view them and take notes from the public section at the Premier’s Durban office, according to the Executive Members’ Ethics Act, 1998. The tiny 2007 public declaration revealed that, at the time, Zweli Mkhize owned Sanlam shares worth R100,000; was given R400-worth of wall paint by Shoprite Checkers; owned a house in Ashburton, Pietermaritzburg valued at R450,000; and was selling a flat on the KZN South Coast for R99,000. The 2009 declaration revealed a change in status and fortune. It said he was a member of the non-profit, KZN provincial government-funded Moses Kotane Institute; that his Sanlam shares were still only worth R100,000; that he still owned a house in Ashburton (R450,000) and had bought two more – in Willowfontein, Pietermaritzburg, for R700,000 and in Cato Manor, Durban for R725,000. Under “Gifts Received” there were: sheep worth R700 from “Cllr Mdabe”; cattle worth R6,000 from “Inkosi Shabalala”; more sheep, valued at R700 from community TV “station manager” at BayTV; R6,000 of cattle from “President JG Zuma”; [Cows JZ was supposed to distribute to the poor? – Ed.] a R700 “engraved shield” from the University of KZN; a sword valued at R5,000 from the “Foreign Minister of Dubai”; a R1,800 carpet and R500 “Crystal Eagle Statue” from the “Government of Dubai”; and a R10,000 zebra skin from Ezemvelo KZN Wildlife. There was no mention of the soft loans, at least not in the public section. The only people who may view the private section, according to the Ethics Act, is “the President or Premier as the case may be, the Public Protector, the Secretary concerned and staff designated by the Secretary to have access to the confidential part of a register”. Noseweek has since asked the DA, the official opposition in the KZN legislature, to make inquiries about Mkhize’s declarations. Their requests to view the declarations have been ignored. No non de plume needed. The long and the short of this and all other gutterment related cockups, is the fact that we are dealing with people that are inherently dishonest. I recall Zuma saying at the start of his then soon to be trial for fraud, theft and corruption, that if he "went down", they would all go down with him. These buggers are protecting each other to stay out of prison.